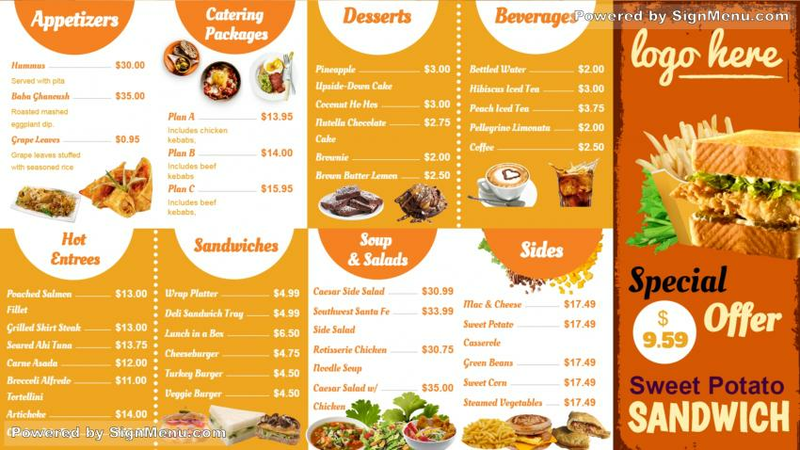 This template is best displayed on a digital menu board at the entrance or indoors of a restaurant. In recent times, the catering business has grown exponentially, and most have already adapted to digital menu boards to entice customers. Catering restaurants with in-store seating facilities as well have all it takes to become a leading store in it's vicinity / city. This template provides a model for your actual menu board and is ready for download and use. Catering restaurantColors whiteYellow & orange.